Fun is at the core of the way I like to do business and it has been key to everything I've done from the outset. More than any other element, fun is the secret of Virgin's success. 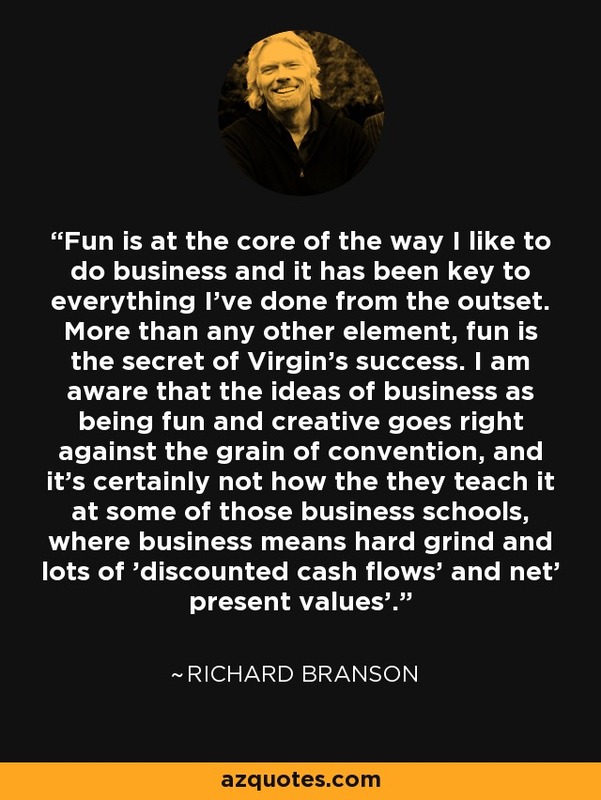 I am aware that the ideas of business as being fun and creative goes right against the grain of convention, and it's certainly not how the they teach it at some of those business schools, where business means hard grind and lots of 'discounted cash flows' and net' present values'.